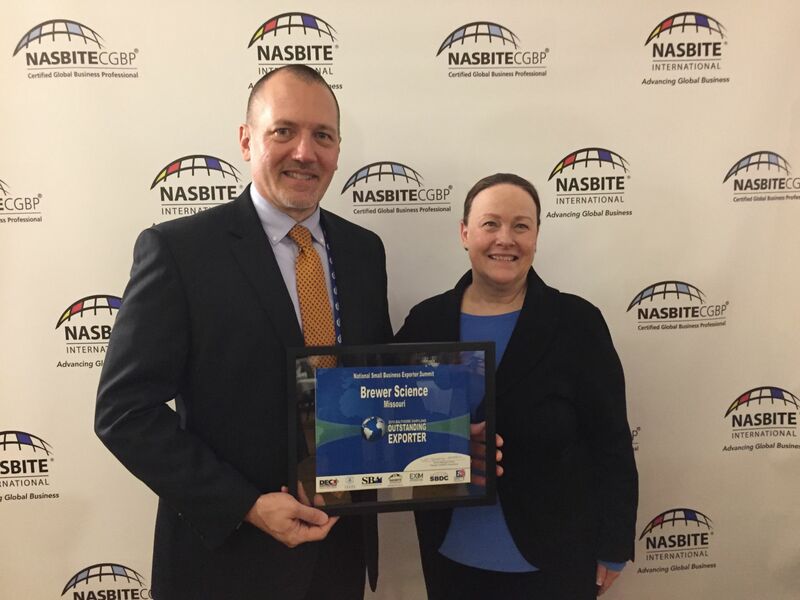 On March 21, 2018, NASBITE International honored 31 U.S. companies that export goods and services during the 2018 National Small Business Exporter Summit in Baltimore, Maryland. April 16, 2018 – Baltimore, Maryland – On March 21, 2018, NASBITE International honored 31 U.S. companies that export goods and services during the 2018 National Small Business Exporter Summit in Baltimore, Maryland. Companies from 24 states were recognized as outstanding exporters in their respective states as part of the second anniversary of these awards. NASBITE International created these awards, along with the National Small Business Exporter Summit, as a way to bring top exporters from small- and medium-sized businesses together to share best practices and lessons learned. American companies are nominated as honorees for the National Small Business Exporter Summit by members of NASBITE International and by the nation’s District Export Councils. Demonstrations of exceptional export growth and an innovative approach to international marketing are significant factors in the selection of nominees. Brewer Science was recognized as an outstanding exporter representing the state of Missouri. Under the leadership of founder and President Dr. Terry Brewer, Brewer Science has become a major Missouri employer designing and manufacturing original technology products since 1981. Brewer Science specializes in technology that enables the creation of products such as smartphones, tablet computers, cameras, and games, among other electronic devices. For more information, contact Loretta Wallis, corporate relations manager at (573) 364-0300 or mwallis@brewerscience.com. Director of Government Relations for Brewer Science, Doyle Edwards, is presented with the “Outstanding Missouri Exporter Award” by International President of North America Small Business International Trade Educators, Tammy Marquez-Oldham.